Former UFC heavyweight title challenger Gabriel “Napao” Gonzaga has a successful pro boxing debut last night (Saturday, Oct. 28) in the co-featured event on the “New England’s Future 4″ card, presented by Rivera Promotions Entertainment (RPE), at DCU Center, Exhibition Hall, in Worcester. 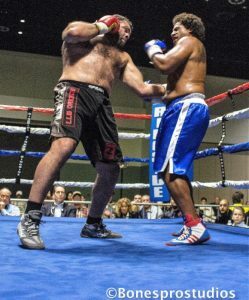 The 6′ 2”, 280-pound Brazilian, now fighting out of Worcester (MA), fought another pro-debut boxer with limited MMA experience, Alejandro Esquilin Santiago, of Tampa (FL). Gonzaga stalked the southpaw Santiago, landing some hard shots in the opening round. The heavy-handed Gonzaga picked up the pace in the third and his upset-minded opponent responded in a positive fashion. Both fighters exchanged freely in the fourth and final round, neither was hurt during the contest, and Gonzaga was awarded a win by four-round majority decision. Rivera, not relations to the promoter, first dropped Castillo with a beautifully placed left uppercut and finished the show moments later with a left hook that sent Castillo flying to canvas. Referee Kevin Hope didn’t bother to count. New Haven junior middleweight Edwin Sosa (11-2-2, 4 KOs) overcame at 15-pound disadvantage, at the very least, en route to a dominant six-round unanimous decision over Anthony “The Animal” Everett (1-7), of Rowley (MA). Danbury (CT) junior welterweight Omar Bordoy, Jr. (3-0, 1 KO) stopped New York veteran Bryan “The Brick” Abraham (6-31, 6 KOs) in the fourth and final round. Abraham was decked twice and after counting to 10 after Abraham’s second time on the canvas, referee Paul Casey waved off the action. 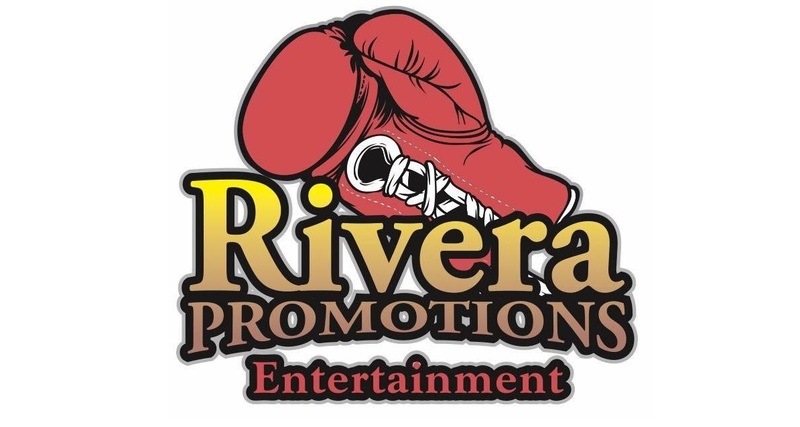 Three-time national amateur champion Elvis “Chi Chi” Figueroa (3-0, 1 KO), fighting out of New Haven, pitched a complete shutout over a game, pro-debuting Rene Nazare (0-1), of Brazil, for a convincing win by way of a four-round unanimous decision. Southbridge (MA) welterweight Wilfredo “El Sucaro” Pagan (3-0, 1 KO) pinned Patrick Leal (0-4), of Woburn, on the ropes early, dropping him three times until referee Casey halted the fight midway through the opening round.